As previously announced, on December 3rd, 2015, the TWU-IAM Association will officially open negotiations with American Airlines and begin bargaining a joint contract for the 30,000 ground workers at the world’s largest airline. We understand that many of you are anxious to get to the table and we thank you for your patience. Your representatives have worked tirelessly and carefully to ensure that we enter into joint bargaining from a position of strength. We’re prepared and we’re ready to fight to secure the best possible contracts for Association members, including better wages, benefits, working conditions and retirement security. The Association will communicate transparently with you throughout this process, and we will work together, as one united organization, to put the members’ needs first and to change the way the airline industry does business once and for all. To that end, we’d like you to know that we’ve put the best, strongest negotiating team in place to represent you. Below, you’ll find the names and locations for all of the bargaining team members, whose expertise and experience will be critical as we begin working through proposals with the company. This team will be supported by the skills, knowledge and resources of two of the most experienced and successful airline unions in North America, the TWU and the IAM. In the coming weeks, we’ll continue to provide updates on negotiations and other important information. We’d appreciate your continued feedback and look forward to moving forward with this dedicated and experienced team in place. On November 17 and 18, before Arbitrator Richard Bloch, TWU presented a major segment of its grievance regarding American Airlines’ (AA) plans for disposition of the employer matching contributions which the company made on behalf of TWU-represented employees from 1993 to the end of 2012. 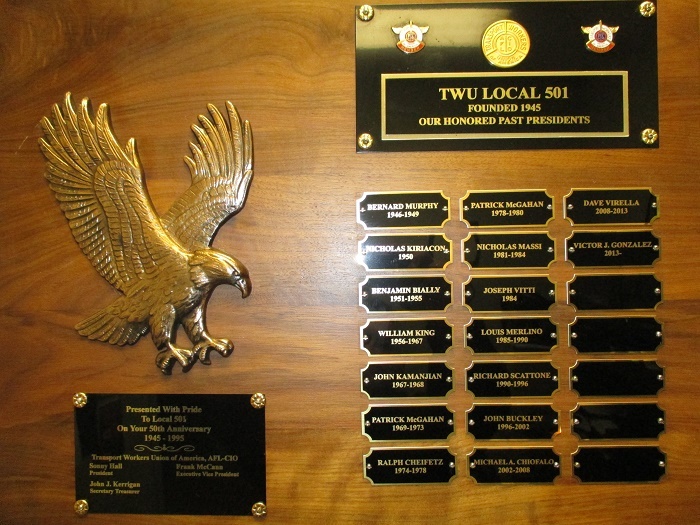 Contributions made by TWU-represented employees who did not retire prior to November 2012 were returned to them as a result of the Section 1113 bankruptcy negotiations between TWU and AA; the AA matching contributions, however, remain in the pre-funding trust, and are the subject of the grievance. At the hearing, AA presented its claim that, unless it succeeds—through Section 1114 legal proceedings—in depriving pre-November 2012 retirees of their retiree medical benefits (which AA regards as no longer being a serious possibility) the employees on whose behalf the funds were contributed will no longer have any legal claim to those funds. AA, if it has its way, will use the funds entirely to help defray the costs of the medical benefits of pre-November 2012 retirees. TWU argued to the Arbitrator that, based on the 1992 agreement which set up the company matching contributions, and the trust language based on it, each employee continues to have an enforceable interest in the matching contributions made on his behalf over the years; these contributions, TWU claims, must be available to each employee upon retirement to help defray the costs of his/her retirement health insurance. Following submission of briefs, Arbitrator Bloch will decide on TWU’s claim. Following his decision, TWU will present the other claims involved in its grievance, including the claim for total and prompt distribution of the matching funds to post-November 2012 retirees, to Arbitrator Bloch. Testifying for TWU at the hearing were Ed Koziatek, chief negotiator of the 1992 agreement; Art Luby, TWU Counsel at those negotiations; Mark Richard, TWU negotiator during the 1113 bankruptcy negotiations; and Dave Virella, who participated in the 2012 negotiations, and who also testified regarding the cruel dilemmas facing all post-November 2012 retirees whose matching contributions are withheld from them, even as they face health insurance costs that have escalated at an average rate of more than 100% per year. I will continue to provide updates as the case progresses. 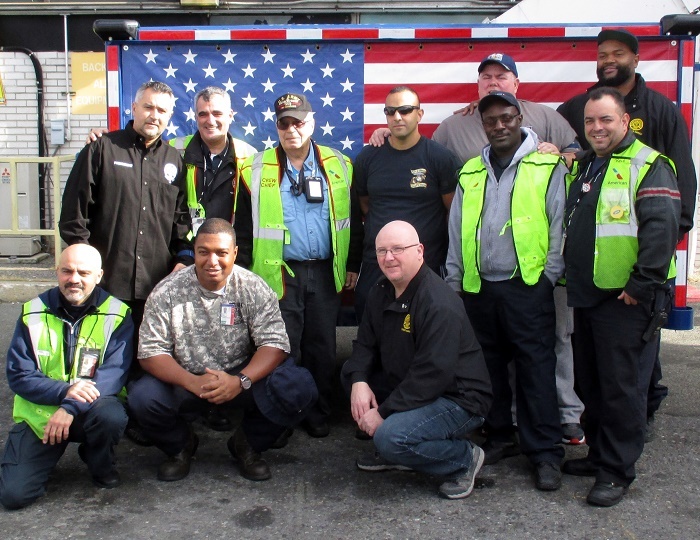 A special thanks goes out to JFK TWU Brothers Nolan & Besemer who established an LGA Military Caisson and to Local 501 WWC Coordinator J. Rota, Brother Reardon and ALL who made it a Great day!